When you climb towers for a living, you want to know that the equipment that you are using will hold you. You want to know, beyond any doubt, that you are safe. But as we know, all technology eventually reaches a point where it cannot be used any more, and when you are a tower climber, your safety is more important than pinching pennies. If you are new to tower climbing, you may consider the prices ridiculously high, but actually they are very reasonable when you are paying the price of protecting your life. So what is the best tower climber gear that you should be looking into this year? 1. Tower climbing harness kit. The best thing that you can start out with is a complete tower climbing harness kit. 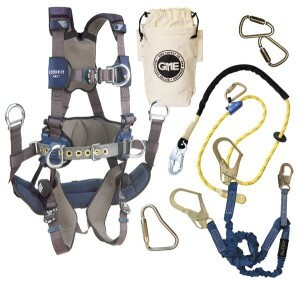 One of the best ones on the market at the moment is actually on sale, down from $899.99 to $849.99, and is called the GME Supply 90005 ExoFit NEX Tower Climbing Harness Kit. So why is it one of the best that you can buy? Well, when you are looking to invest in really good quality tower climber gear, then you want something like this that you know will last for years. It is also designed for comfort, which is perfect for when you are spending hours in it. When you are climbing a tower, falling to the ground is not the only danger that you are dealing with. Of course you need to keep an eye on RF levels. Without a high quality monitor to keep an eye on anything, you can become severely unwell due to being exposed to high levels of electromagnetic activity. 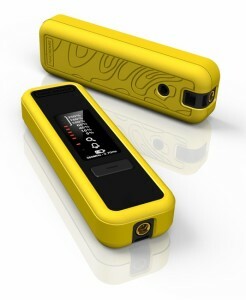 The best on the market at the moment is the FS8000 fieldSENSE Public RF Safety Monitor. Tower climber safety is always better when you have one of these by your side. The greatest feature of this device is its simplicity and it is incredibly easy to use, which is perfect for when you are very high up and have a million and one other things to think about. You can find out more about it, and purchase it for $499. Every single tower climbing team needs to make sure that they have a set of good radios on them. Communication is the best way to keep yourselves and other people safe, and good tower climber gear is not complete without them. The greatest radios are those that are two way, so the most open communication can happen. Motorola CLS1410 On-Site Two-Way Radio is in fact one of the cheapest on the market at $209, but don’t let the low prices fool you. The radios have four channels and voice operated transmission, which leaves you with your hands free to sort things out while you chat to your colleagues. Tower climbing safety rules are all centered around the importance of bringing every person back down to the ground safely. That is why tower rescue packs are so critical. If you want to ensure the safety of your team, then it is probably time to purchase a PMI Towerpack II Self Evaluation/Tower Rescue Pack for $941. It also comes in a variety of lengths, from 164 feet to 400 feet, for all of the different towers that you and your team will be climbing. You should never climb a tower without an emergency plan to get back down safely, and this is perfect way for you to make sure every climb is a safe one. Get all your Tower Climber Gear here.